While your roof is designed to withstand a certain amount of debris, the gutters around your property are not. Your perimeter drains are designed to handles a very specific type of weight and material. Without a regular Grimsby eavestrough cleaning service, unexpected issues arise. Sure, small sticks or leaves are expected to fall into this drainage system but if they are not removed, small problems become large ones. 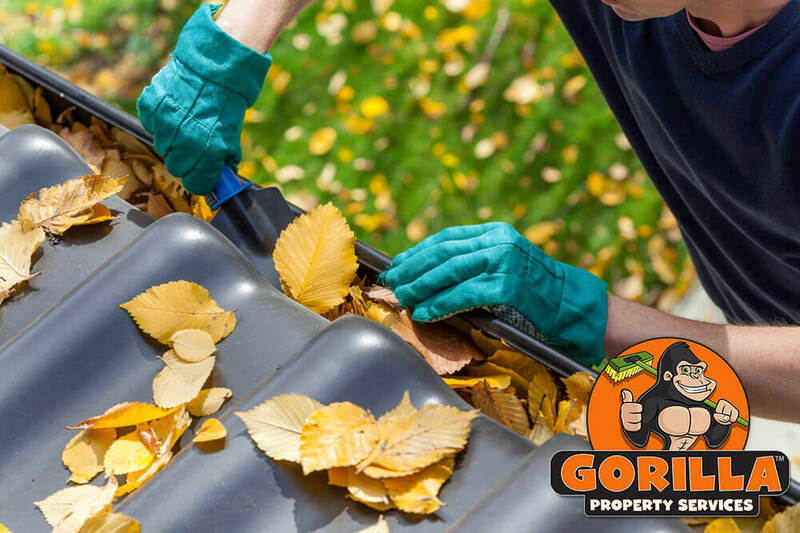 A proper Grimsby gutter cleaning is no easy task, but it can be with the help of our Gorillas. When the average property owner tries to perform their own Grimbsy gutter cleaning, they are opening the door for disaster. Just getting up to the roof of your property invites slips, trips and falls off of ladders. Every year, hundreds of people across Canada are forced to visit the emergency room due to tumbles from ladders. In addition to beating yourself up, this can cause damage to the gutter system itself. Your drainage system is designed to withstand the weight and pressure of everyday clutter but not someone leaning against it. You might go up to your gutters with the best intentions but end up with even more trouble than before. Save yourself the trouble of replacements and repairs by having a Gorilla handle your dirty work. Whether you call them gutters or an eavestrough, this drainage system is vital to the clean running of your property. When this system becomes clogged up, it can let water back up against building materials. This can lead to water damage, leaks and can even invite pest infestation. Instead of dealing with these preventable issues, call our Gorillas for your Grimsby gutter cleaning. Our removal specialists use vacuums in order to remove small bits of debris that collect along the base of your gutters. By combining the use of high-powered tools along with old-fashioned manpower, our Gorillas can keep your system running smoothly.